Sanitary butterfly ball valves is a new design Sanitary Ball Valves . Its shape likes butterfly valve type, but the closing-opening part is a ball which is rotary to control the valve opening and closing. Sanitary butterfly ball valve is made in stainless steel SS304/SS316L etc. We are ability to provides butterfly type ball valve with tri-clamp, welded, threaded connection etc, and operation can be manual, air operated, electric operated etc. Kaysen can offers fully line of Sanitary Valves for food processing, beverages, fruit juices, wine, biopharmaceutical etc. Sanitary ball valves could be fabricated as per client's requirement and drawing. • Surface treatment: Ra 16 ~ 32µin (0.4 ~ 0.8µm), Ra 32µin is the default. -Aboves are our regular specification, any Customizing request is also welcome! If you have Sanitary valves need, pls contact us for details. 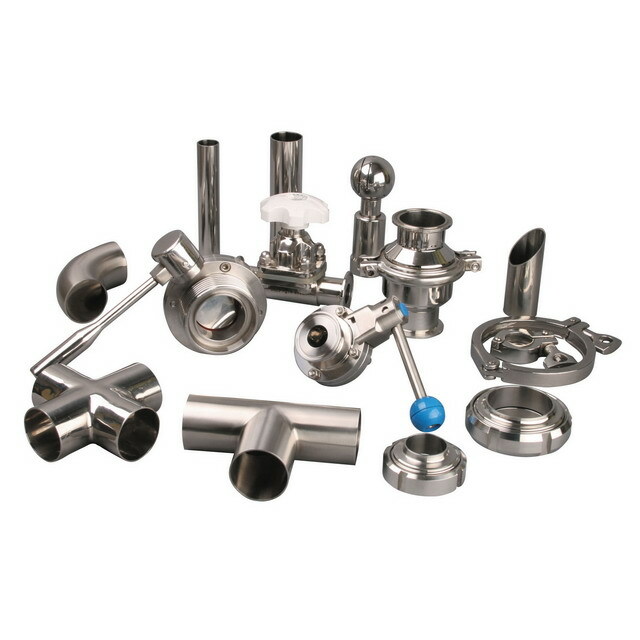 -We are one of most competive manufacturers/exporters in China on sanitary products,sanitary fittings,sanitary valves,sanitary union, sanitary clamp, sanitary filter, sanitary pipes, etc, contact us directly for more items and better prices! Looking for ideal Sanitary Grade Butterfly Type Ball Valves Manufacturer & supplier ? We have a wide selection at great prices to help you get creative. All the Hygienic Grade Butterfly Type Ball Valves are quality guaranteed. We are China Origin Factory of Food Grade Butterfly Type Ball Valve. If you have any question, please feel free to contact us.